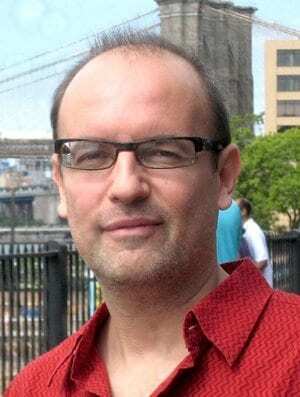 Juan Obarrio works in the fields of critical theory and political anthropology, focusing on issues of law, democracy, violence, magic; and the intersections between political economy and political theology. He has conducted extensive fieldwork in Southern Africa and South America. He has received fellowships from the MacArthur Foundation, Ford Foundation, Social Science Research Council, American Council of Learned Societies, and has been a visiting professor in Paris, Bologna, Johannesburg, and Cordoba (Argentina). In 2012 he was a visiting scholar at the Harvard Mahindra Humanities Center and the MIT Center for International Studies. In 2016-2017 he was a member of the Institute for Advanced Study (Princeton). He currently serves on the Board of the International Consortium of Humanities Centers (CHCI). He received a PhD from Columbia University in 2007. Multitudes: "African Externalities" and "The State and the Customary in North Mozambique"
“Traditional Justice as Rule of Law in Africa: An Anthropological Perspective”, in Peacebuilding and Rule of Law in Africa: Just Peace?. Chandra Lekha Sriram Olga Martin-Ortega Johanna Herman (eds). Routledge, UK, 2010. Editor, Cultural Anthropology special issue on J and J Comaroff 's book "Theory from the South"
Review of Paul Khan "Political Theology: Four new chapters on the concept of sovereignty"
Review of Patricia Zimmerman, States of Emergency: Documentaries, War, Democracies, in XCP Cross Cultural Poetics n8, May 2001.